Your homeowners insurance protects you against damage to your property or possessions in many different scenarios. But how will you know when you should file an insurance claim? In this article, we’ll detail when you should file an insurance claim and the process to file an insurance claim. Homeowners insurance is extremely important, regardless of where you live or the size and condition of your home. It offers protection against damage to your property and covers your liability or legal responsibility for any injuries and property damage that you or members of your household cause to other people. Homeowners should dedicate the necessary time and resources to select the right home insurance coverage. Ultimately, there is no one-size-fits-all policy. 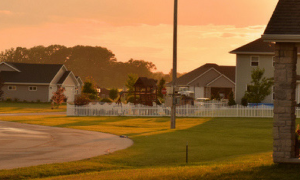 Home risks vary nationwide, and much in the same vein, the definition of “sufficient” home insurance coverage varies from homeowner to homeowner. But one fact rings true for all: if you lack the right coverage, you put your property at risk. Dwelling: Covers the costs to pay or rebuild a home. Loss of Use: Pays for additional living expenses if a homeowner must temporarily move out of a residence while it is being restored. Other Structures: Protects against damage to detached home structures such as a fence, garage or shed. Personal Liability: Provides protection in the event of a lawsuit against a homeowner or if a member of a household inadvertently causes bodily injury or property damage to others. Personal Property: Offers coverage for clothing, electronics, furniture, sporting goods and other personal property. Earthquakes: Damage caused by earthquakes is exempt from a standard home insurance policy. Instead, the homeowner will need to purchase supplemental coverage for protection against earthquakes, shockwaves and other earth movements. Floods: Damage caused by flooding is not covered by a standard homeowners policy. Most flood insurance policies are written through the National Flood Insurance Program (NFIP) and require at least 30 days from the date of purchase to take effect. Maintenance Issues: A homeowner is expected to take “reasonable” action to protect their property against mold, insect and termite damage and other maintenance issues. As a homeowner, you’re responsible for obtaining coverage that guarantees your property is fully protected against a wide range of disasters. You also must understand when you’re eligible to file a claim, along with the claim filing process. Read your homeowners policy. Your homeowners policy includes rules and procedures that both you and your insurance company must follow. Review your responsibilities, and you can follow the right steps to file a claim. Report any crime to the police. If you were the victim of burglary, vandalism or other criminal activities, you should file a police report. Contact your insurance agent. Your insurance company may put a time limit for filing a claim; this limit ranges from 30 days to one year. Thus, the sooner you contact your insurance agent, the sooner you can begin the claim filing process. Perform temporary repairs. There’s no need to wait to address property damage that requires immediate repair; take the necessary steps to safeguard your property against further damage. Find temporary housing. Homeowners policies provide coverage for the “loss of use” of a home, which means you’re covered if you need to relocate temporarily. In this scenario, find short-term housing and keep records of all additional expenses incurred. Prepare a list of damaged or lost property. Create a home inventory and photograph or videotape any property damage. Get claim forms. Your insurance company will provide you with claim forms after it receives notification of your claim. Fill out and return these forms as soon as possible to avoid potential delays. After you and your insurance company agree to property settlement terms, the company will send a payment. State laws require insurance companies to send out settlement payments promptly. Your home insurance company may contact you to schedule a date and time for a home insurance claims adjuster to visit your home. By doing so, a claims adjuster can review any property damage and your homeowners policy to determine exactly what is covered and how much the company will pay. If a claims adjuster wants to visit your home, there is no need to panic. In fact, a homeowner who is open and honest with a claims adjuster may be able to speed up the claim process. In most cases, a claims adjuster will request documents and evidence related to your claim. The adjuster also will ask questions about any property damage or loss and a home’s condition prior to a disaster. Remember, it is a claims adjuster’s responsibility to assess any property damage. If you can provide the adjuster with the necessary claim information, you can boost your chances of receiving a fair settlement. Consider all of your costs. Include the cost of materials and labor and value of any property damage and lost items in a home insurance claim. This ensures you can recover money spent on alternate living arrangements, income that you lost from missing work and any other expenses related to property damage or loss. Be honest. During the claim process, your home insurance company will review the extent and cause of any property damage or loss. Be honest when you describe property damage or loss to your insurance company, and you can reduce the risk that your insurance company will deny your claim. Stay patient. Your home insurance agent may try to convince you to accept a settlement early in the claim process. But a homeowner who takes a firm, patient approach to the claim process may be better equipped than others to receive full compensation for property damage or loss. Track everything. When it comes to a home insurance claim, it is always better to err on the side of caution. Therefore, you should keep track of all receipts for purchases related to property damage or loss and document all interactions with your insurance company throughout the claim process. Remain available. The claim process may require several weeks or months to complete. If you remain available to your insurance company, you can maintain ongoing communications with them until the claim process is finished. Don’t hesitate to reach out to your insurance company for regular updates regarding your claim. A simple phone call or email can help you stay informed about your claim status and ensure your claim is processed in a timely fashion. Lastly, if you ever have concerns or questions about homeowners insurance, an independent insurance agent can provide expert support, coverage recommendations and help with the claim process. As a result, an independent insurance agent will make it easy for you to protect your property at all times. Ryan Hanley is the Vice President of Marketing at TrustedChoice.com and the Managing Editor of Agency Nation. He is also a speaker, podcaster and author of the Amazon best-seller, “Content Warfare.” Ryan has over 12 years of insurance expertise and blogs frequently to help consumers understand complicated insurance topics. Ready to relocate to a new region of the country? 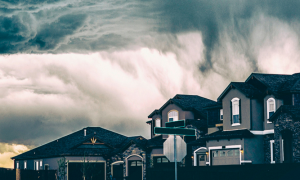 Consider the local weather, particularly when you evaluate your home insurance options.